Review the accompanying best practices recommended 12-step remedy. Just as every person needs a medical doctor; every organization needs a FiscalDoctor and periodic fiscal checkups. He also supports special projects for business growth, risk assessments, value-based enterprise risk management (ERM), operational risk management (ORM), fiscal checkups, corporate governance, strategic planning updates, special board projects or requests and strategic growth diagnostics. Clients call him their FiscalDoctor® and just as every person needs a medical doctor; every organization needs a FiscalDoctor and periodic fiscal checkups. He also supports special projects for risk assessments, enterprise risk management (ERM), operational risk management (ORM), fiscal checkups, corporate governance, strategic planning updates, and strategic growth diagnostics. I'd love the opportunity to connect and learn how I can help you today! Imagine how much you can benefit. Contact me for a free 15-minute discussion of your situation at 678-319-4739 or http://www.fiscaldoctor.com/contact-us/ . Corporate Compliance Insights is a professionally designed and managed forum dedicated to online discussion and analysis of corporate compliance, risk assessment, ethics, audit and corporate governance topics. Additionally, Corporate Compliance Insights is a focused knowledge-sharing forum designed to educate and encourage informed interaction within the corporate compliance community – dealing with issues of ethics, audit, compliance, FCPA, governance, risk, fraud and GRC. FiscalDoctor Inc. enables growth through leverage you did not know you had and works with leaders to uncover million dollar holes to make the best business decisions and dramatically accelerate correct fiscal leadership decisions. This helps leaders regain control of their financial destinies and capitalize on hidden high return opportunities, while limiting exposure to risk. He can also help increase your profitability, providing access to 100 best-of-business experts who are often better and cheaper than incumbents. 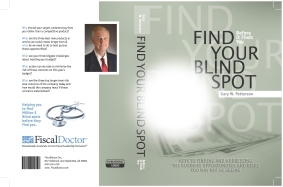 His book Million Dollar Blind Spots: 20/20 Vision for Financial Growth provides cutting edge follow-up for blind spots: how to identify them, and exploit opportunities and mitigate risk related to million dollar blind spots. Visit his website at http://www.fiscaldoctor.com and "free" fiscal fitness test at http://www.fiscaldoctor.com/fiscal-quiz/ , or call 678-319-4739. 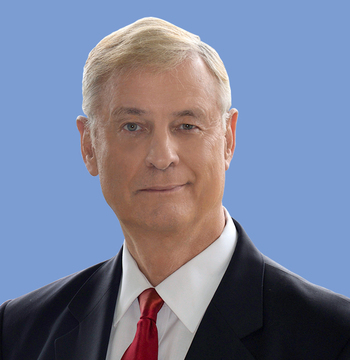 Get E-mail Alerts When Gary W. Patterson -- Big 4 CPA, Stanford MBA Sends news releases.